Call (602) 620-5755 For Reservations. 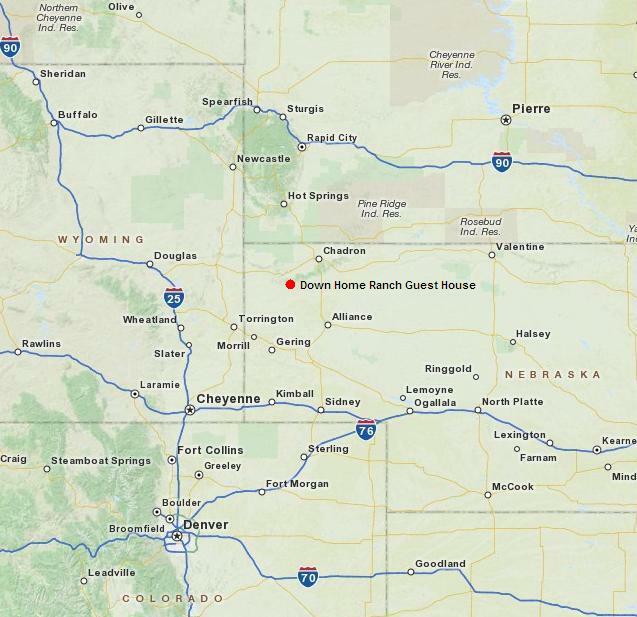 Head West on Hwy 20 for 25 miles to Crawford, NE. Turn South on Hwy 2/71 for 10 miles. 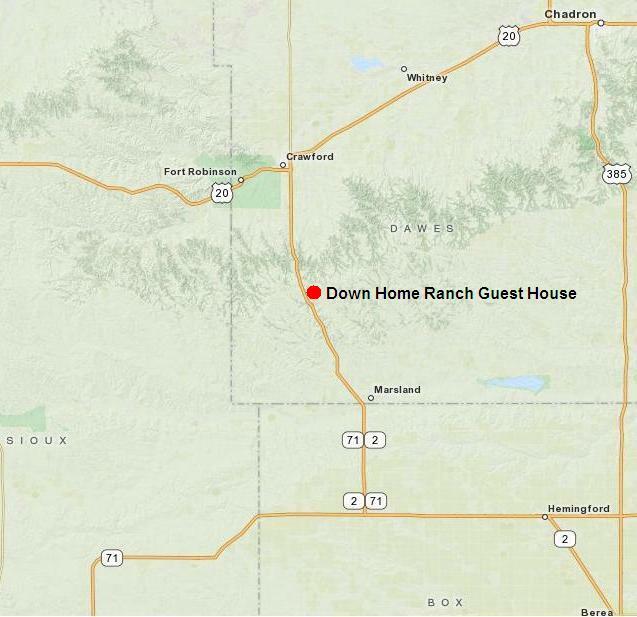 Down Home is on the East side of the highway between the North and South Belmont Roads. 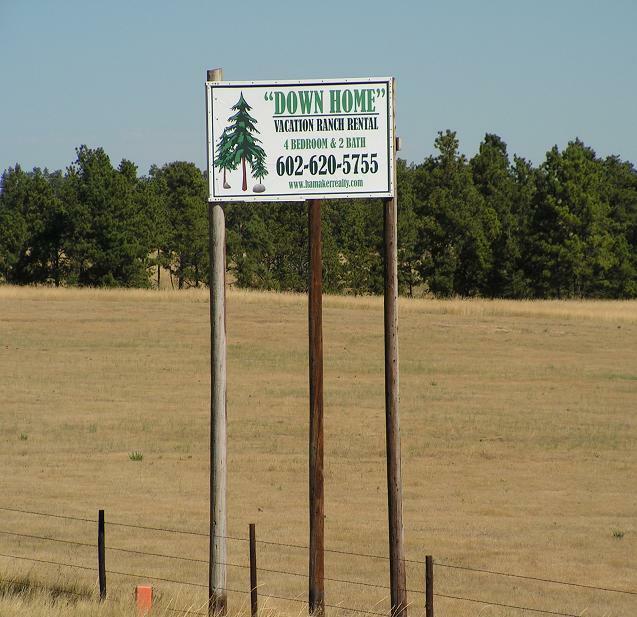 Look for mile marker 127 and the big "Down Home" sign on the East side of the highway. 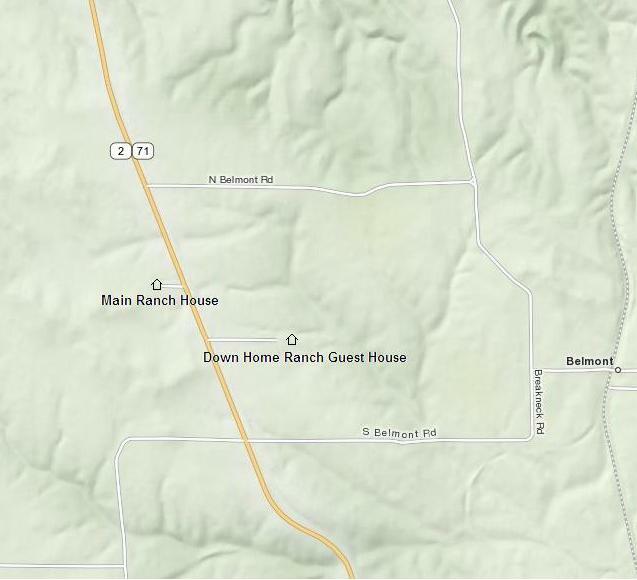 *Mapuest.com and Google Maps do not show the exact location of Down Home, so Please use these directions.